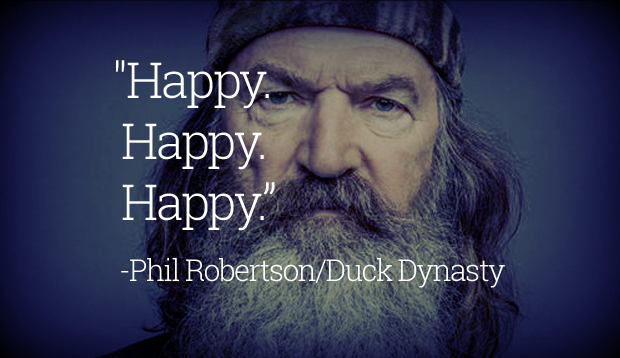 Phil Robertson, the well-coiffed patriarch of the Duck Dynasty empire, has made quite the name for himself when it comes to bellowing his opinions about life, liberty, and the pursuit of happiness. His latest opinions, shared with Sean Hannity on FOX News, may be his greatest hit yet. And the Church said “Amen”? Here’s the video, which we’re sure has made its way to the Situation Room already. A&E can issue all the statements they want, but we think they’re secretly grateful for this bearded gift that just won’t stop giving.